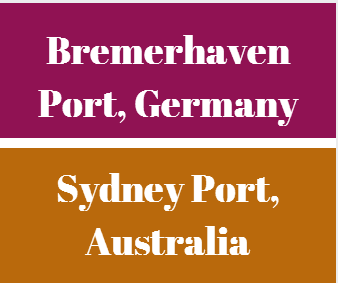 What is the transit time between Bremerhaven Port, Germany and Sydney Port, Australia? A container vessel requires certain period of time in order to complete her journey which was starting at the port of loading and ends at the port of discharge. This time period could be defined as a transit time. Transit time is a very critical piece of information that needs to be checked by exporters and importers prior to the shipment. 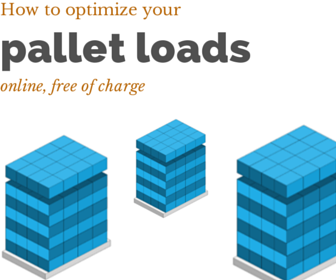 By making sure of the transit time between port of loading and port of discharge, you can prevent any demurrage and detention charges. Bremerhaven Port, which is the second busiest container port of Germany, is the 25th biggest container port of the world as of 2013 statistics. Port of Sydney is one of the key container ports in Australia. Sydney port is the 1st port of discharge for most container vessels, that come from Northern Europe to Australia. As a result the transit time between Bremerhaven Port and Sydney Port is an important piece of information for exporters and importers using this container freight route. Let me try to show you the transit time between Bremerhaven Port and Sydney Port via different container liners as belows. What is the transit time between Bremerhaven Port and Sydney Port via MSC? MSC follows Bremerhaven, Antwerp, Rotterdam and Sydney Port route with its own container vessels. The transit time is around 47 days via transshipment at Antwerp. You can search MSC's Bremerhaven Port to Sydney Port current vessel schedules from this link. What is the transit time between Bremerhaven Port and Sydney Port via HANJIN SHIPPING? Hanjin transports containers from Bremerhaven seaport to Hamburg Seaport by truck and then follows, Hamburg Port, Singapore Port and Sydney Port route with its own container vessels. The transit time is around 54 days with transshipment at Singapore Port. You can search HANJIN SHIPPING's Bremerhaven Port to Sydney Port current vessel schedules from this link.